Design-Lin is back in Montreal ! 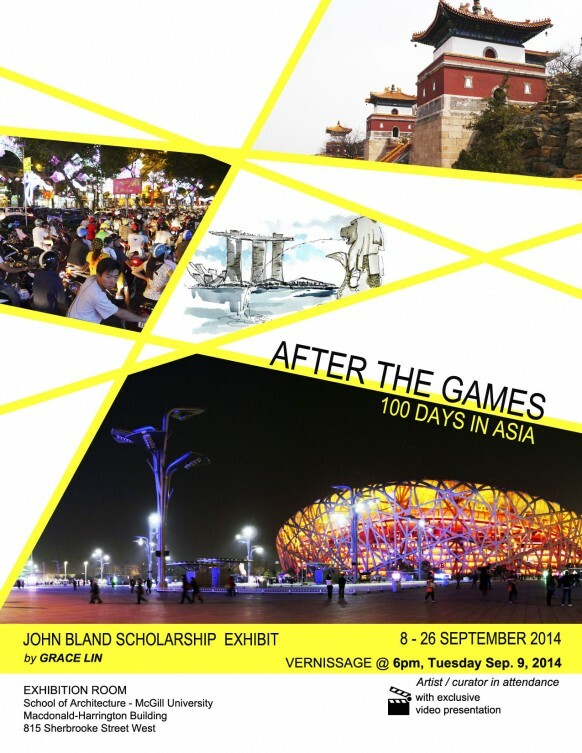 For my first solo exhibit at McGill School of Architecture, I have summarized my work in Asia from the past 6 years. photography, sketches, paintings and videos which refers to my personal experience in Asia. repurposing the mega-structures after the games. Some are more successful than others. Tokyo (1964 Olympics) and in Sydney (2000 Olympics). This exhibit is open to the public until September 26th.